We started the morning off with a strenuous hike at Piestewa Peak mountain. The trail we took is at the very north end of the park where the road ends. We climbed a rocky loop around the mountain top and hiked back on the other side. From the top we had a nice view of the taller buildings downtown Phoenix and the not so nice pollution. Here is a quick and easy meal that you can throw together any night of the week. 20 to 40 minutes tops and the timing is based on the type of rice that you use. For this dish I used jasmine which is a long grain variety of rice that has a subtle nutty flavor and a soft, sticky texture when cooked. The shrimp I used was the Wild Argentinean red shrimp from Trader Joe’s, which are sold already prepped and ready to go. I switched out the full fat coconut milk to the light stuff and thought that this dish was still full of great flavor. Heat oil over medium-high heat a large skillet, add onion, carrot and chili flakes, about 3 to 5 minutes. Stir in coconut milk and tomato, cook about 2 to 3 minutes stirring occasionally. Add shrimp and cook until shrimp are pink, turn halfway about 4 minutes total. Spoon shrimp mixture on top of rice and sprinkle with cilantro. Serve with lime wedges. SImply damn delicius and comforting!!! Your hike sound amazing, Cheri. And so does this dish. Yum! Thank you so much. PS I SOOOO wish we had a Trader Joe's nearby. Hi Dena, if we lived closer I know we would visit. Thanks! Thanks David, hanging in there. Thanks Charlie, jasmine is my favorite too! I'm envious of the hike and the views you enjoyed. This shrimp dish sounds so good! Oh yum! This looks wonderful and I love how easy it is to put together! Thanks Chris, it's a quick bowl of comfort. Good exercise and a wonderful meal, I really love quick and easy and delicious meals. Wonderful meal, Cheri! Looks amazing! Scrumptious recipe, Cheri! looks so yumm and easy to put together! I'm always up for a quick and easy meal! Thanks Betty, this is really comfort food. Hi Kim, hopefully they do, love that store! Thanks Tandy, you are so sweet. Chilies, coconut, shrimp and cilantro. Not much better than that in my opinion. Love those cacti, too. Shrimp and cococnut a match made in heaven.. Thanks Nee, it was....amazing what a different point of view means! Mind kind of meal. Well done, lady! That coconut gravy is hard to resist! Yum! Thanks Angie, never thought about it like that your right it was good. What a great hike and fantastic views. The shrimp and coconut sounds great perfect for a weeknight meal. Hi Karen, Arizona is wonderful in the winter, thanks! Always open to a new shrimp recipe and this one looks yummy. My husband just told me this week that he was thinking he could probably eat rice once a week (hint, hint...) and jasmine is a favorite. I like brown and wild rice as well. He likes the black rice but I find it too sweet for my taste (even though I LOVE sweets!). Hi Mindy, funny thing my husband loves the wild rice too, that's the one that I make the least. This dish sounds so flavorful and I love using coconut milk! Delicious dish, Cheri! This looks like such a fresh and colorful dish! I love the touch of cilantro and lime, too! Thanks Nancy, the cilantro and lime make the dish! I've been hooked on using light coconut milk lately, too, Cheri! I love this simple shrimp dish. It's so rich yet light. Thanks Monica, we use the light most of the time too! Hi Cheri, your hike sounds like so much fun, along with the view below, sans pollution! Love your dish. I like coconut milk in a variety of dishes, including Indian too. Have a great week while we submit to the elements, namely snow. Hi Peggy, might sound strange but I would love to be snowed in only because we are in the desert. Looks like a fun hike. I haven't been to Phoenix in 11-12 years. It is an interesting place! I adore shrimp made like this and the lighter version is a winner. I wish we had a Trader Joe's close by - but no luck. Have a great week! Hi Tricia, I am such a big fan of Trader Joe's, if you ever come in the winter let me know. 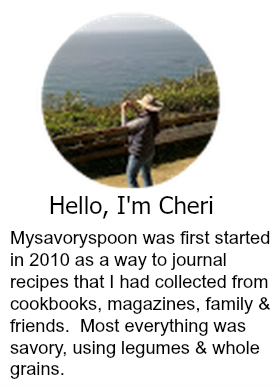 Hi Cheri, oh I used Jasmine rice too. I like the fragrance. Hmm this quick and easy coconut milk shrimp must be tasty ... perfect to have them with rice ya ! I love, love, love coconut shrimp! Sounds like a good hike with great views. And your shrimp looks delicious! Thanks Pam, this is my favorite kind of day. My boyfriend is going to love this! 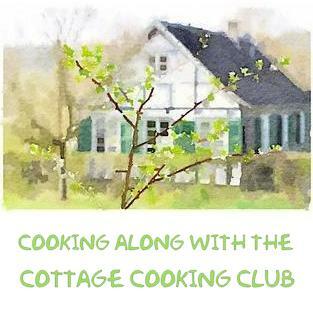 What a perfect weeknight meals, and what a delightful hike it sounds like you had! Thanks Amy, we are big hikers. Cheri, you've done it again, my mouth is watering, this looks amazing! What a brilliant hike and dish - scrumptious. Have a wonderfully happy day. This looks so tasty, Cheri. My husband would love it and, best of all, it looks like I can make it quickly, perfect for a weeknight. Hi Coco, yes this a great quick dish! This is just excellent. Tons of flavor, easy to make. What more can one ask? Good stuff -- thanks. What a delightful dish, Cheri, and one I've not tried making myself. I like the idea of using wild caught shrimp that are already cleaned and deveined for a quick meal like this. Great flavors! The last time we were in the Phoenix area (which was about 6-7 years ago, we hiked the Pinnacle Peak and Squaw Peak trails. Great exercise and beautiful views! Hi Susan, those trails are the best aren't they, love the fact that they are right smack dab in the middle of the city. Thanks!